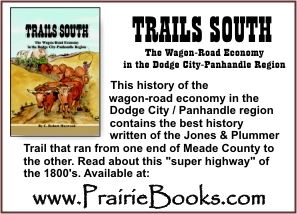 share the history of Meade County Kansas on-line! above will direct you to contact information if you have a story or photos to share. The search box below will allow you to do a Google search on this site. and years worth of collecting Meade County History. So stop by often and see what's new! I will try to post to this blog often and keep you informed as to what's new on the site... things I've recently discovered, etc. Feel free to send me a comment and I'll post that too. These comments come from my server and do NOT include your email address so if you want an email response please include your address. Thanks.